RECYCLE 100% OF YOUR CONTACT LENS WASTE HERE. 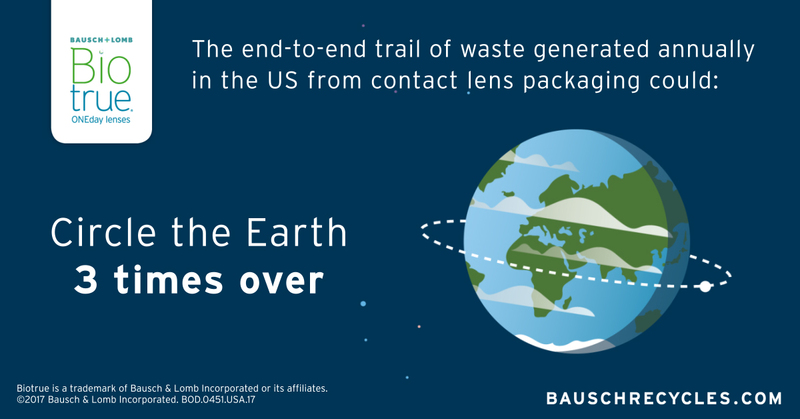 Simple and easy way to recycle your soft contact lenses and blister packs. 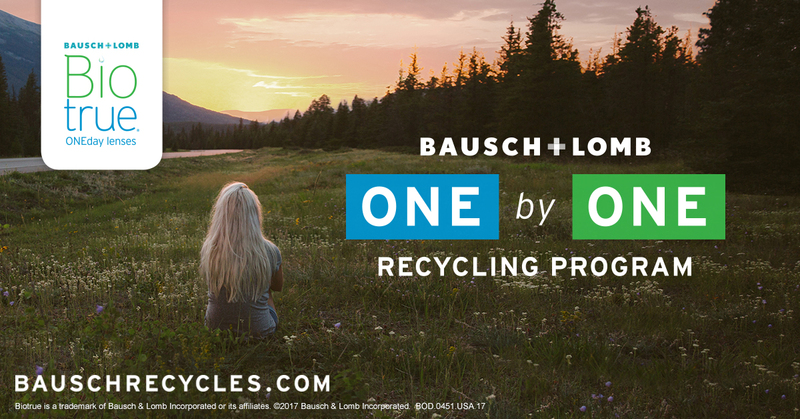 We participate in the ONE by ONE Recycling Program through Bausch + Lomb and TerraCycle to help reduce waste. Collect your contact lenses and blister packs (lenses, foil top and plastic). 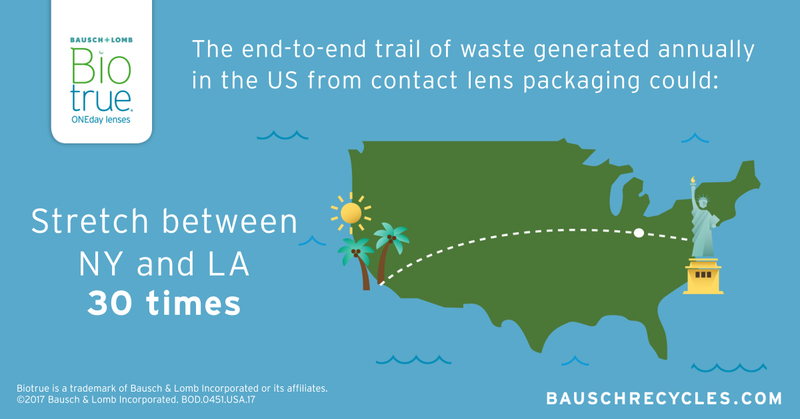 Drop off your contact lenses and blister packs at our office or print a shipping label and ship them from home.